If you know how to use it, there will be no need for smelly chemicals. You might already use baking soda on dishes caked with baked-on food (no matter what the dishwasher commercials say, that lasagna is not coming off on it’s own). 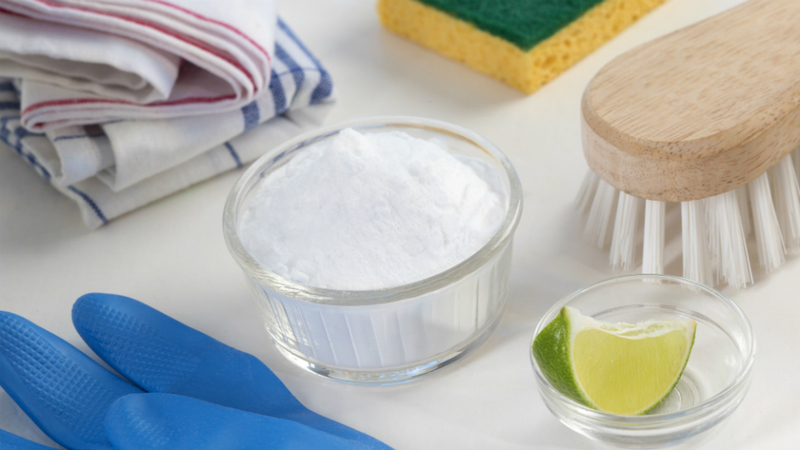 A baking soda and water paste can work miracles on pretty much any surface that’s greasy or dirty. Stoves, sinks and even the bathtub don’t require expensive chemicals, just baking soda and water. Add an essential oil like tea tree oil for a little natural scent and some anti-bacterial properties, if you like.